“Dark energy,” a mysterious force that counters gravity, has been proposed to explain why the universe is expanding at an accelerating rate. Mathematicians at UC Davis and the University of Michigan, Ann Arbor, argue for an alternative. 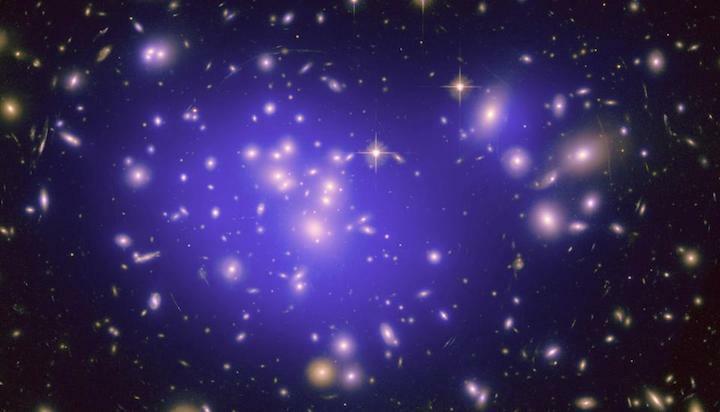 Galaxy cluster image from the Hubble Space Telescope.